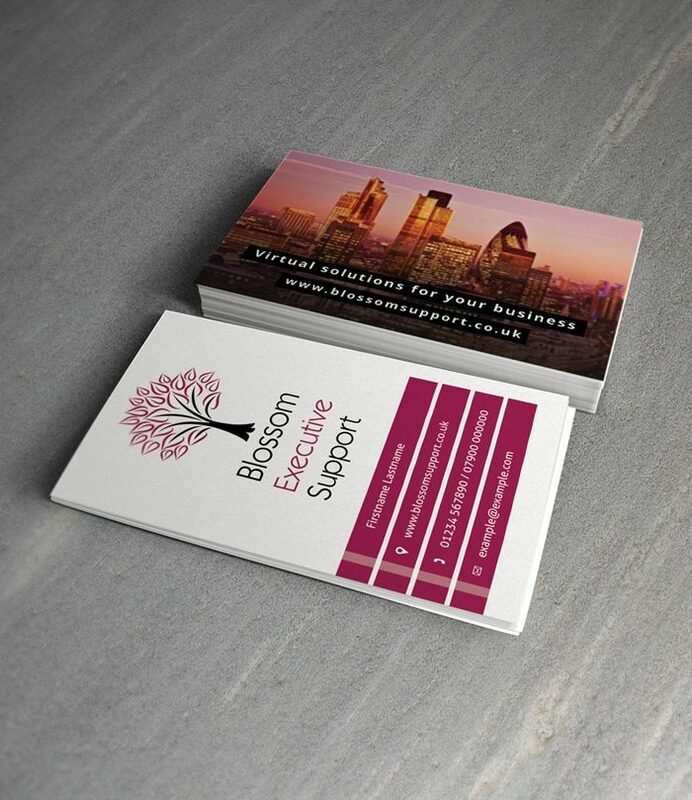 We designed and printed these business cards for virtual PA Blossom Executive Support, who wanted their business stationery to match the style of their new website, which was launched a few weeks previously. The business cards convey a professional image of the company, but with a soft look rather than a typical corporate-style design. A strong 400gsm cardboard was used in the production, with a protective smooth UV varnish finish applied to both sides. Blossom Executive Support offer virtual personal assistance (PA) services to entrepreneurs and executives from all different fields, with a particular specialism of working with those in the coaching and health & wellness sectors. The founder, Charlotte, has over a decade of experience working in the financial services industry in the City of London. Primary Image also designed the website for Blossom Executive Support in 2014 – read the case study. In need of business cards for your company? If you’re interested in having a batch of executive business cards created for your company, see our Business Cards page. We work with all kinds of companies and organisations, both big and small, and can create bespoke orders depending on your requirements, e.g. quantity, single or doubled sided, paper thickness and various types of finish are available. Get in touch with a Primary Image designer and let us know what you need!